Sausage-maker, Johnsonville, is entering the chicken category with its newest product innovation: Flame Grilled Chicken. This spring’s rollout to grocery stores nationwide will represent the company’s largest product launch in its 71-year history. To assist in its strategic sales and marketing efforts, Johnsonville tapped Wisconsin-based agency, Pop-Dot. Pop-Dot’s work on Flame Grilled Chicken is only the latest collaboration between the Madison-based agency and Johnsonville. 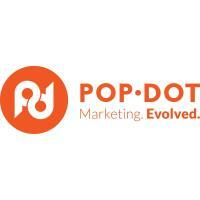 Sales and marketing materials designed by Pop-Dot for the launch won an American Advertising Award. Pop-Dot’s work for Johnsonville has also included packaging designs, merchandising concepts, brand development and more. In addition to Johnsonville, Pop-Dot’s client roster shows an agency that can punch above its weight. It includes the likes of Colony Brands–a billion-dollar retail powerhouse with nearly two dozen brands and affiliated companies under its umbrella, adhesives ground-breaker Glue Dots International, Italian cheese manufacturer Grande Cheese Company, the highly-venerated Jazz Institute of Chicago, nationally-renowned healthcare service provider Erdman, and more.